lovefashion | livelife: up or down? 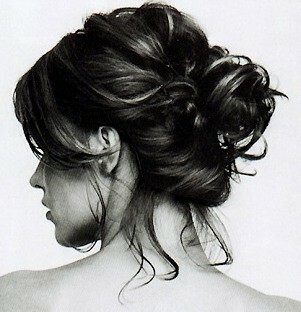 SO, i'm torn on how i should do my hair for NEW YEAR's.. i'm really leaning towards a messy updo. OR should i stick with my usual and leave it down with loose waves? oh the difficult decisions i have to make..
opinions? suggestions? comments? put it in the box. thanks!